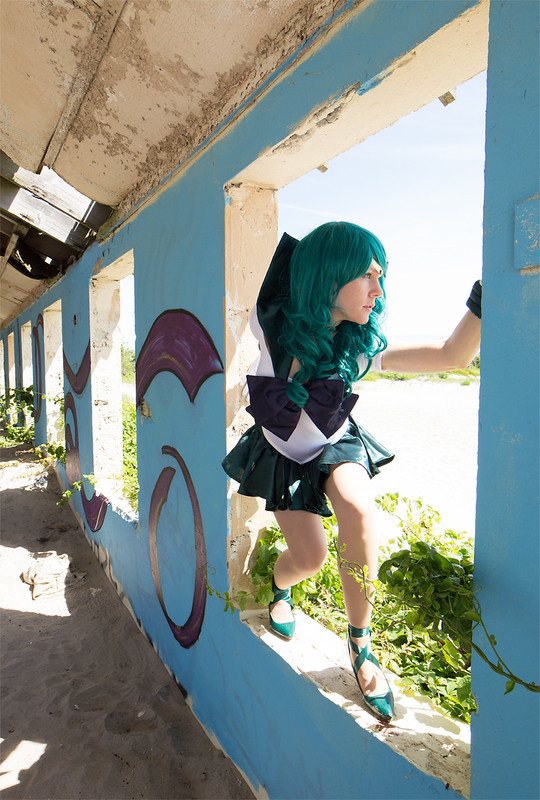 I was able to escape to an abandon building on the coast during this last summer and shoot some awesome, sandy photos in my new Sailor Neptune cosplay! 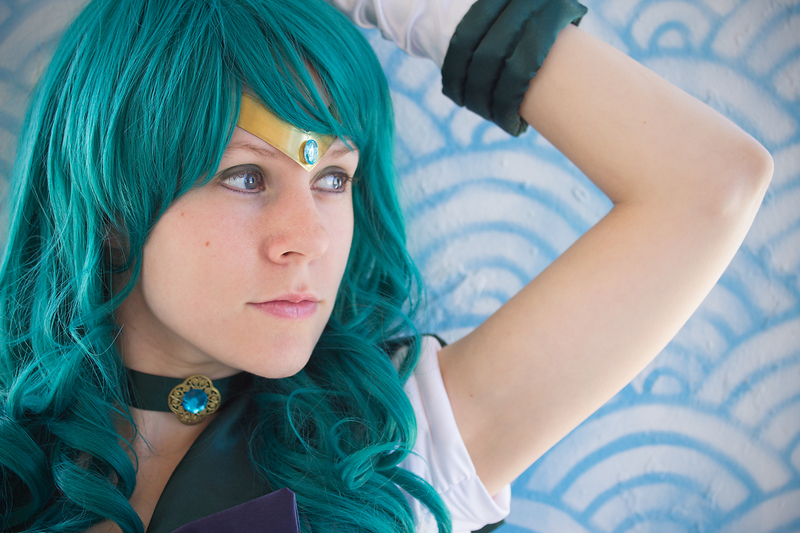 Sailor Neptune has made several convention appearances, including Sakura-Con 2014 and Nashville Comic Con 2014. 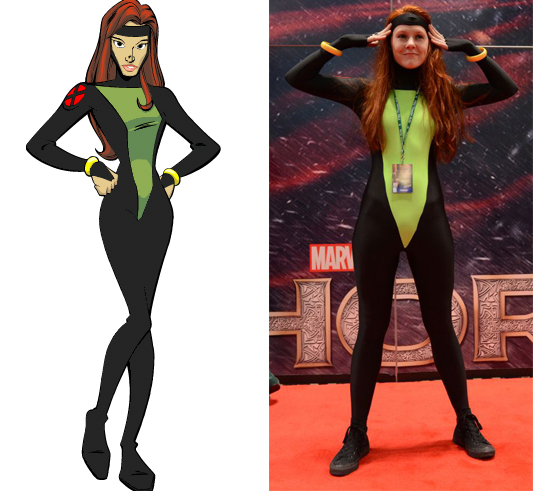 It’s a fun, frisky and powerful cosplay for me to wear – also the first cosplay I have ever done with a wig! 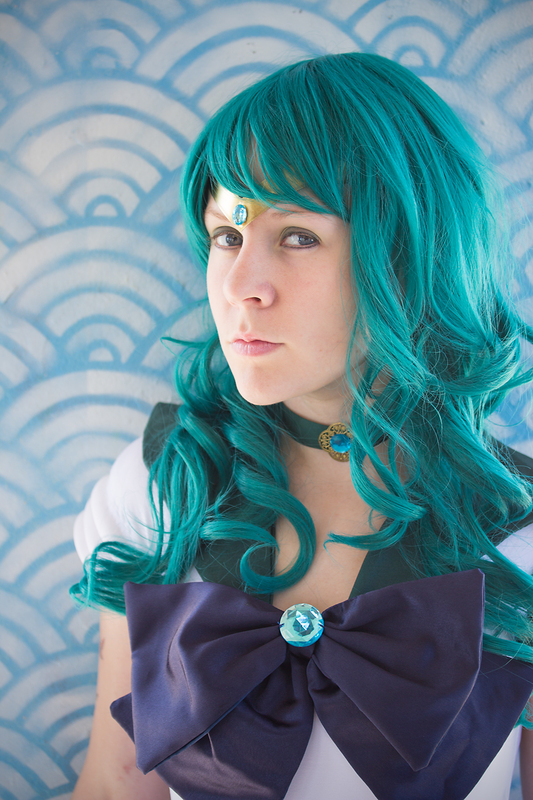 Easier than I ever thought would be and I simply love this wig from Epic Cosplay! They will be getting so much business from me in the future as they have broadly expanded my world and made me really love being able to chance my hair for other costumes. Using my hair is awesome, but I think having teal hair is pretty spectacular too! With ten years of Sakura-Con tradition under my belt, I returned to Portland, OR and Seattle, WA in April to attend my home convention. Usually occuring over Easter weekend, Sakura-Con is the Pacific Northwest’s biggest anime convention, boasting over 20,000 attendees at the Washington Convention Center in downtown Seattle, Washington. It was the first anime convention I went to and the second ever, just after my first at Penny Arcade expo the year it debuted. 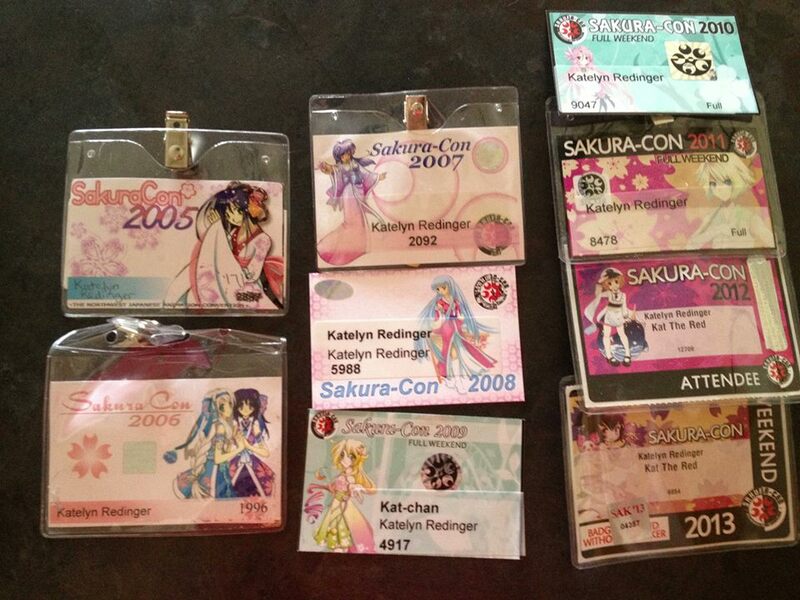 Since then, I have attended Sakura-Con every year for the past ten years. I’ve even kept all my badges as the years have passed! Just add one more and you have ten years of Sakura-Con tradition! Sakura-Con means the world to me, if you haven’t noticed. They inspired me to keep making cosplays every year and to do bigger and better things every year. 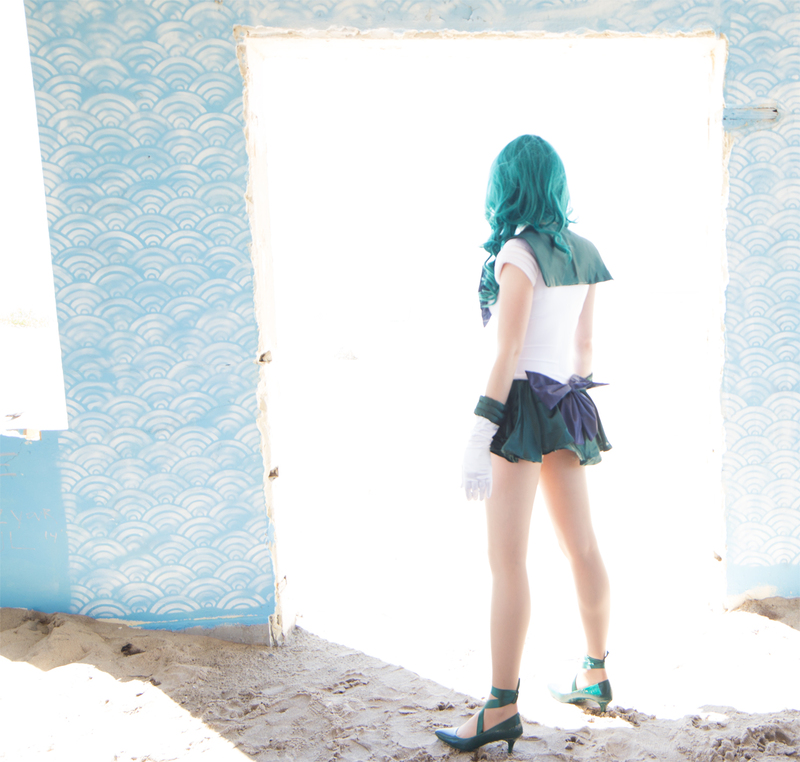 Five years ago, I competed in the Anime Swimsuit Contest. Year one, I got 3rd place; year two, 1st place by fan vote; and year three I got 3rd again. The two following years I was invited on as a guest judge, a position I take very seriously with my history with the contest. Two years ago I start running my Need Input! panel and it has been extremely successful in terms of gathering feedback for my research. For the past three years, I have played as a chess piece in the Cosplay Chess Main Game, playing a pawn, then a knight, then a rook. I’ve attended panels about everything under the sun, watched hours of anime in the screening rooms, watched the AMV Contest every year, danced with total strangers, done photoshoots, and been drunk and stoned until the early hours of the morning just about every year. With my nerdy lady friends, Sam and Heidi, we’ve established theme phrases for the past three years. First, it was “Bidoof”. Just saying the word made us crack up. Then there was “You know nothing!”, said in a very selective tone. This year, as all three of us were mounted with some combination of stress, illness, jet lag, work and school with just days before the con, the theme was “Nope.” For example – “Are you going to get up early for the panel tomorrow?” “Nope.” “Have you eaten anything today?” “Nope.” “Did you finish your cosplay?” “Nope”. Sakura-Con, or Sa-Con as my friends and I call it, is home. This year was probably more full than it needed to be. I was running my panel, competing in the Cosplay Contest AND a piece in the Cosplay Chess Main Game. Two of the three of those were extremely successful. My panel didn’t have a fantastic turn out, but everyone that came contributed very well and I was able to get more audio for a new transcription. I found it to be very productive and valuable. 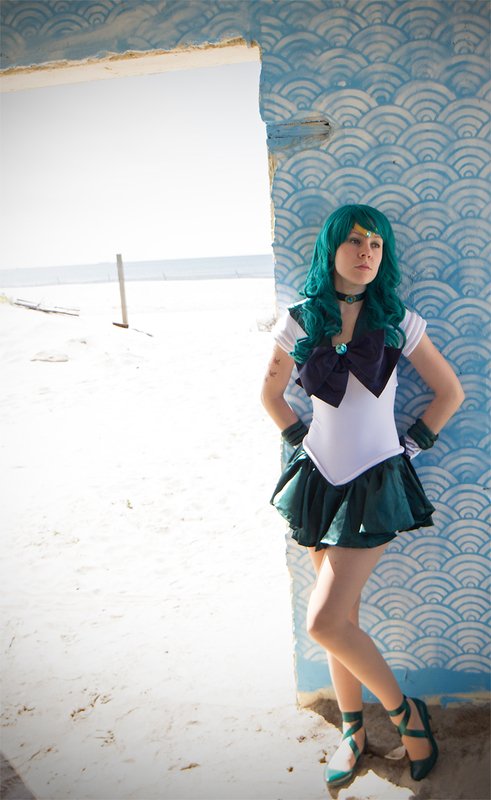 Hopefully Sakura-Con will let me come back for year three in 2015. Cosplay Chess went awesome! I had a great sparing partner dressed as Sora from Kingdom Hearts that was very fit and doing flips across the chess board. 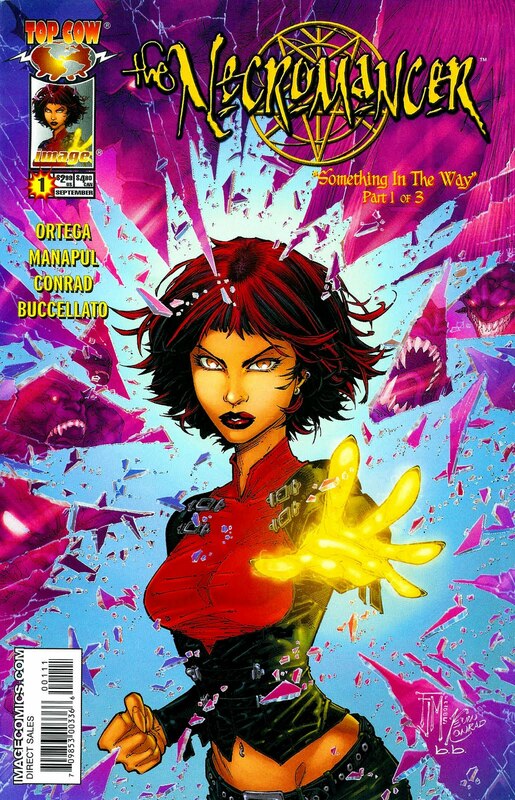 I played as Jean Grey from X:Men Evolution. I haven’t seen any video surface of the game yet, but I will be sure to post them here. A lot of people said that our match-up was one of the best fights of the whole game, so Cosplay Chess felt great to be in again. 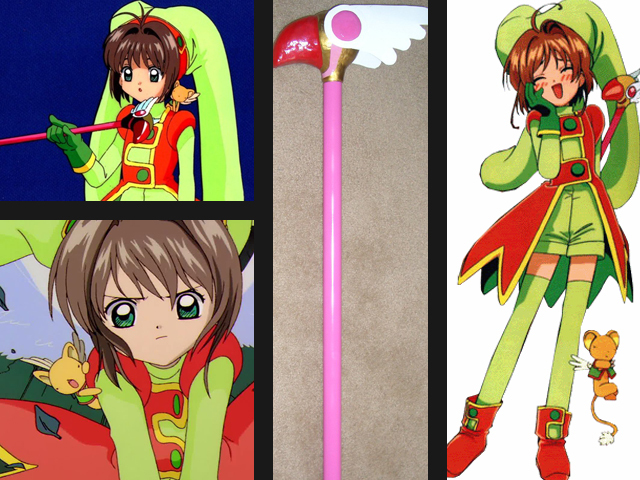 The waste of time of my Sakura-Con was, unfortunately, the Cosplay Contest. It had nothing to do with the fact that I didn’t win, really, nothing. It was horribly organized, sucked up my entire Saturday, and I never even got any stage time to work anything out. I got maybe 30 seconds just to walk around the stage with all the other walk-ons, and then we were ushered off very quickly so people could resume practicing their skits. I booked time right at the beginning of the morning, like 5 MINUTES of booked time, so that I could work on the stage, get some perspective and then be done. I wanted to go to other panels, actually eat some lunch and do more with my day. I sat around for almost three hours waiting to get stage time that I had made the effort to book and they never honored it. I then had to beg to be released so I could go eat as I didn’t plan on being there all day and was starving. By the time I finally got on the stage, I really didn’t know what I was going to do for the 1.5 minutes that my music was suppose to run for, and I felt foolish up on the stage. When I got back to my walk-on group, they were dividing us up, sending some people to a different line, and some people back to the dressing room. I was the only one in my group that they released, simply saying, “Ok, you’re free to go.” There are kinder ways of telling someone they didn’t win. I have competed on some of the greatest competitive cosplay stages in the country and this was a horrible way to run a contest. Sorry, Sakura-Con, I love you, but I will NEVER compete in your cosplay contests again. After the blight of the cosplay contest was over, I joined back up with my friends. Some of us went to do other things, and two of my lady friends and I went back to the hotel room to get our drink on. Bawls + vodka = the most ridiculous Con drunk you could ever have. We ended up pouring out our hearts about an assortment of subjects – lifetime changing moments, lost and evil loves, trying to figure out what to do with our lives. It was a really meaningful conversation that was just meant to be some time to drink so we could go back to the convention. We did make it back eventually and went and danced our hearts out. When the dance closed at 3AM, we went and played some Rock Band. I discovered I can do vocals on Rock Band pretty well! It’s a lot like karaoke, just with grades! All my my scores were 94 or above, so I think I’ll try to be in Rock Band gaming sessions more often! After that, I played some Katamari Damacy for the first time in several years. I think I need to get another PS2 back in my life and buy some of those games again. I woke up the next morning and didn’t really have a hang over, but I wasn’t really functioning either. I ended up spending the last day of my con in the infirmary and the convention center. I had terrible vertigo. Eventually, I ended up puking. I think I just completely burnt myself out. I really shouldn’t participate in so many events at a con! I just had too much on my plate. I thought I was going to have to reschedule my flight and stay one more night in Seattle, but I ended up just popping a Benadryl and sleeping through my red-eye home flight. It really is possible to out-do yourself at a con, but in the end, I think it was a really worth it. I can’t think of a better ten year anniversary!!! Can’t wait for year 11! 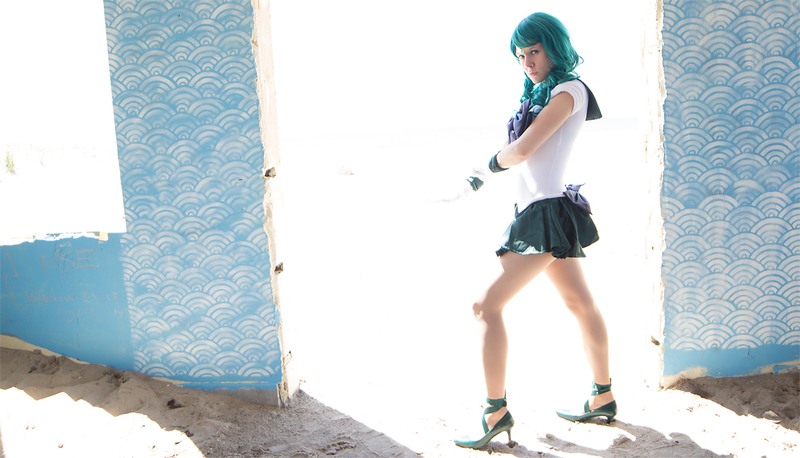 Cosplay has been a very big part of my life for the past ten years. Since my passion has become more serious in the past few years, questions of my dedication to cosplay have risen – Why am I doing this? 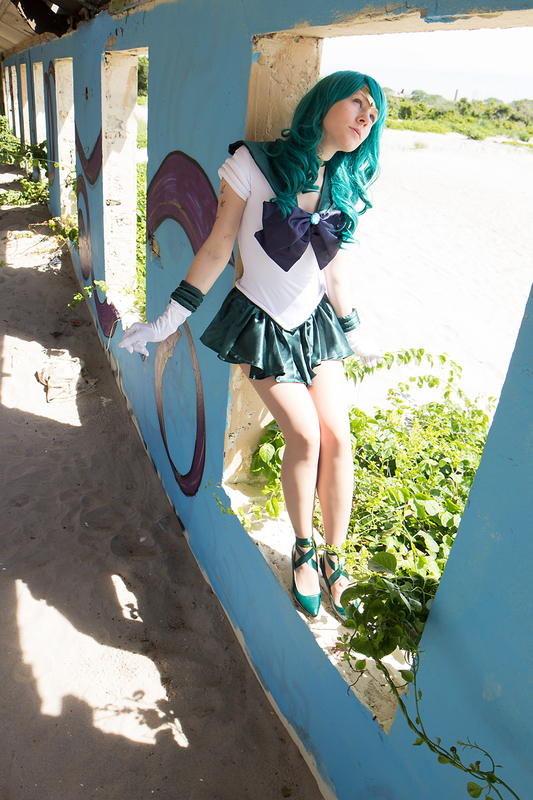 What is cosplay doing for me? 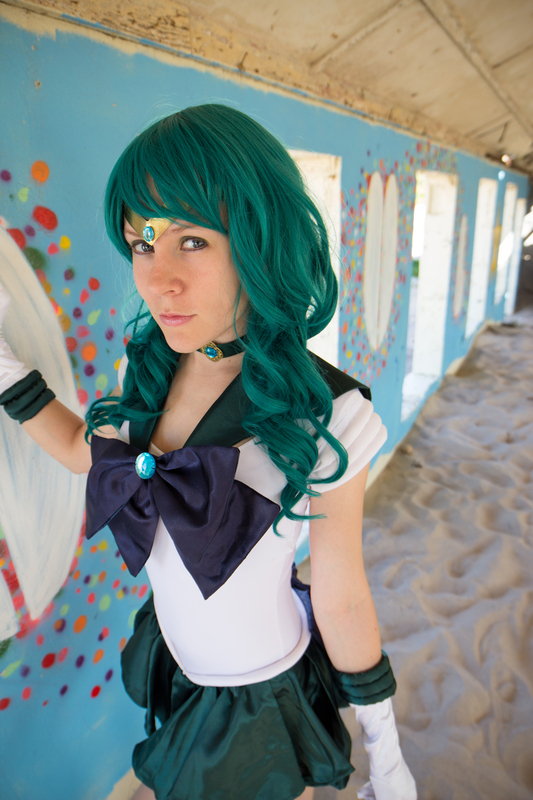 Of course, cosplay is very fun, but I think there’s more to it than that. This last year, at Sakura Con, I conducted a panel called Need Input! 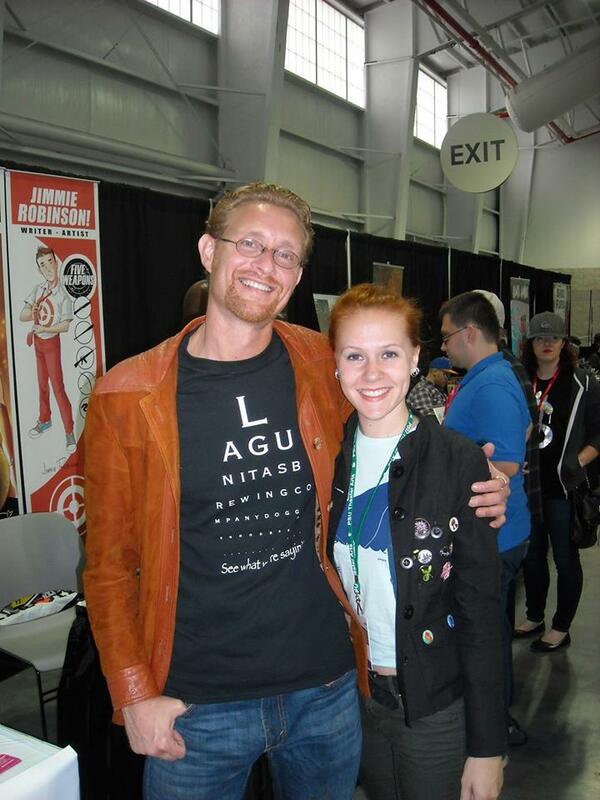 : A Panel for Cosplay Research. I hosted a Q&A style panel that asked cosplayers deep questions about their cosplay passions, and their responses blew me away. Now on tour at conventions on the the east coast, Need Input continues to gain ground and knowledge about the will and the way of cosplay for hundreds of people. I became so committed to this mission of learning why people cosplay that I have now invested an academic agenda and wish to pursue a Masters degree in Cosplay Studies. 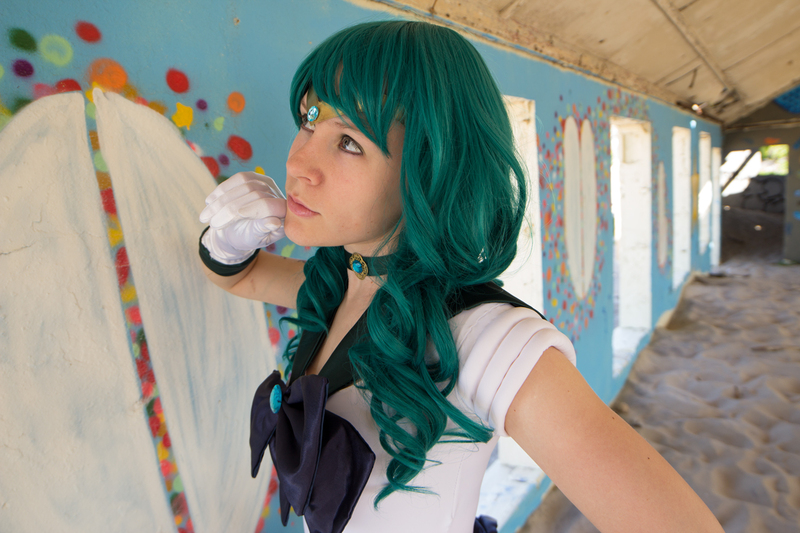 Cosplay isn’t just costuming – it’s culture, community, inner dialogue and personal growth. It’s learning new skills, building self-esteem, and learning to think on the spot. 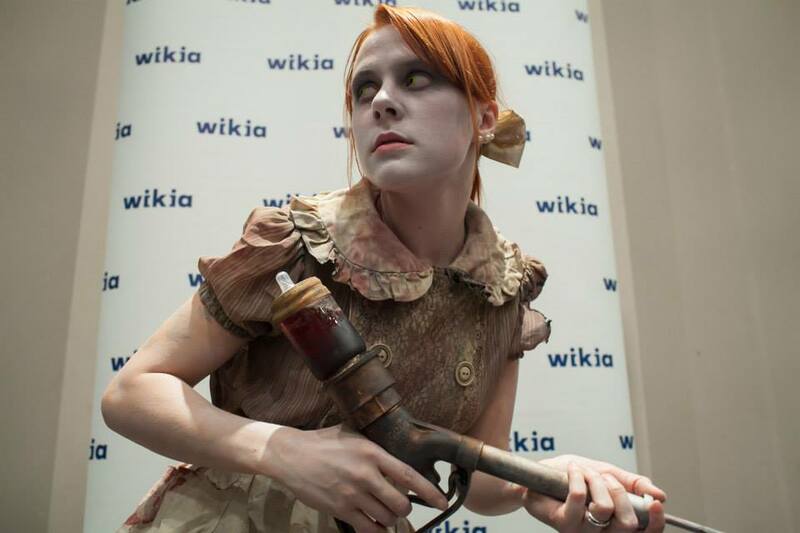 It has become one of the newest and hottest pop culture trends and it’s taking over conventions. This is a performance art revolution, and I’m committed to researching and discovering the will and the way of Cosplay. FOR SCIENCE! On this page, I will be posting my audio files and my transcripts from conventions where the Need Input panel has been hosted so you can get a real feel for what happens at my panel and what kind of research I’m doing. I’ve also conducted surveys to collect statistical data to get demographics for the typical cosplayer and once my statistics have been allocated, those will be posted too! In case my panel doesn’t get approved, I’ve recently thought of the idea of doing walk-around mini audio interviews where I run with a question for little while, ask a few people, and then change the topic and ask a few more people. These will also be posted in audio format and transcribed. 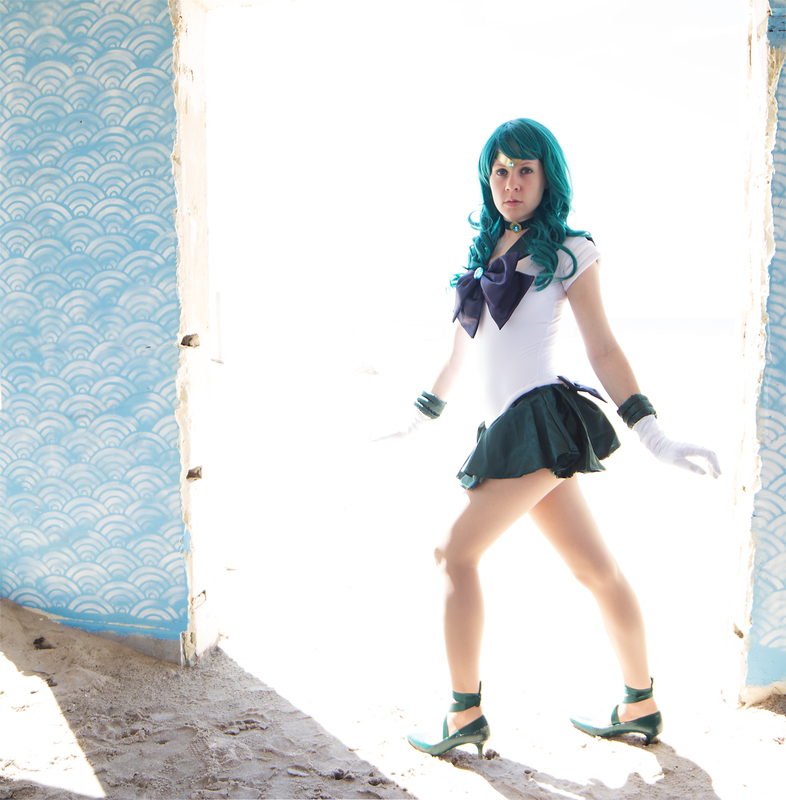 It’s all in the pursuit of field research and discovering the reasons behind why people cosplay! Below we have transcripts of Need Inputs that have been conducted and audio snipits of dialogue from the panels! Panel Transcript SakuraCon 2013 – Sakura Con 2013 works as the launch pad for the first ever Need Input panel. This round explores diversity in the cosplay community, love for cosplaying villains, dressing up as animals, and the true social profit of cosplay. Panel Transcript SakuraCon 2014 (Coming Soon) – Back at Sakura Con after moving to New York with more organization and structure, Need Input looks into gender stereotypes in cosplay, professional cosplayers, ‘Cosplay is Not Consent’, and being an older cosplayer in a perpetually youthful convention setting. Also, Katelyn’s eternal love for the high caffeine beverage, BAWLS. Panel Transcript AnimeNext 2014 (Coming Soon) – In New Jersey for AnimeNEXT, Need Input is set in an at-capacity room with some of the best audience contributions to date. This session explores what cosplayers look for when they pick characters, what cosplayers actually learn on the path to becoming a character. 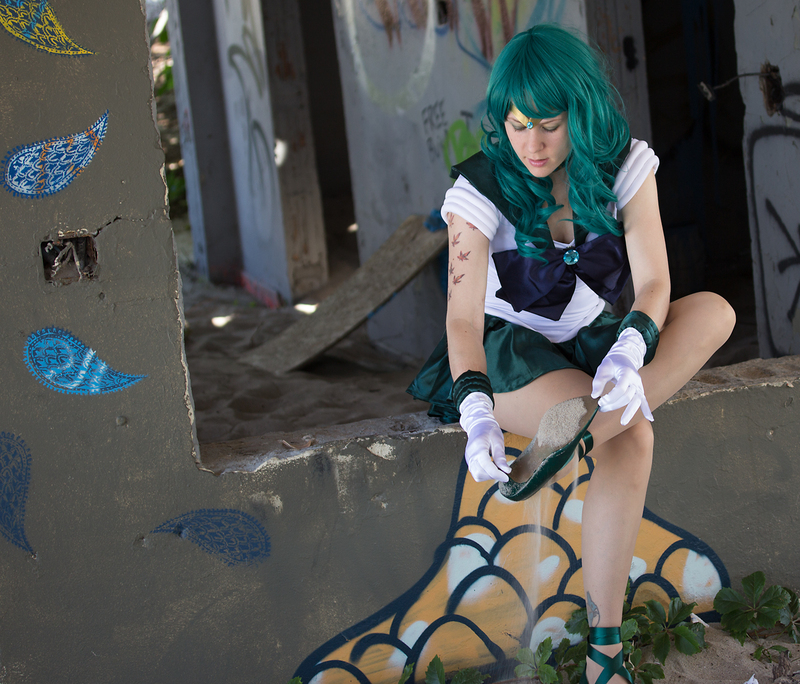 and the biggest struggles they face in finishing their cosplays. Panel Transcript Wizard World Nashville 2014 (Coming Soon) – Working on a mini-tour with Wizard World, Need Input journeys to Nashville to explore cosplaying as a family, breaking down what it means to be a part of the cosplay community and what embarrasses or annoys people in the cosplay/convention community. Panel Transcript Wizard World Portland 2015 (Coming Soon) – Back in Oregon for a week, Need Input makes a second appearance at Wizard World, and the attendees are not shy to bring forward ideas about what they have learned and the inner strengths that have discovered as a result of cosplay. 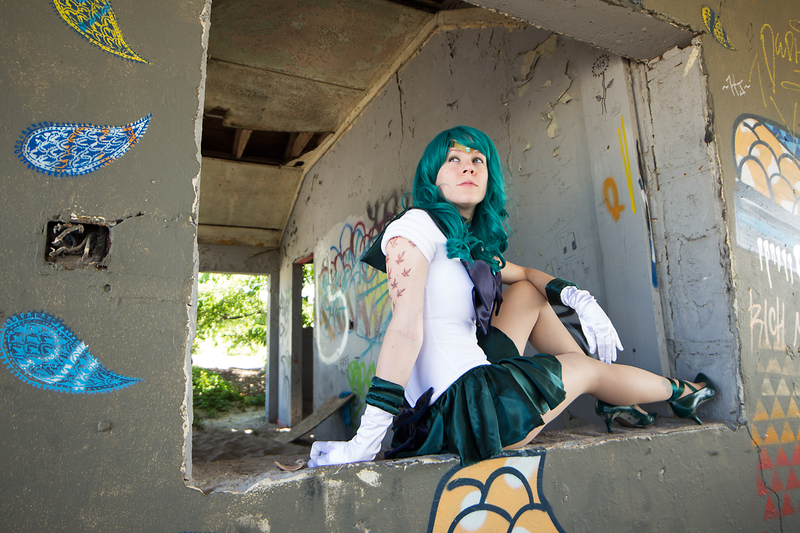 Back to life, back to…cosplay! Yay! 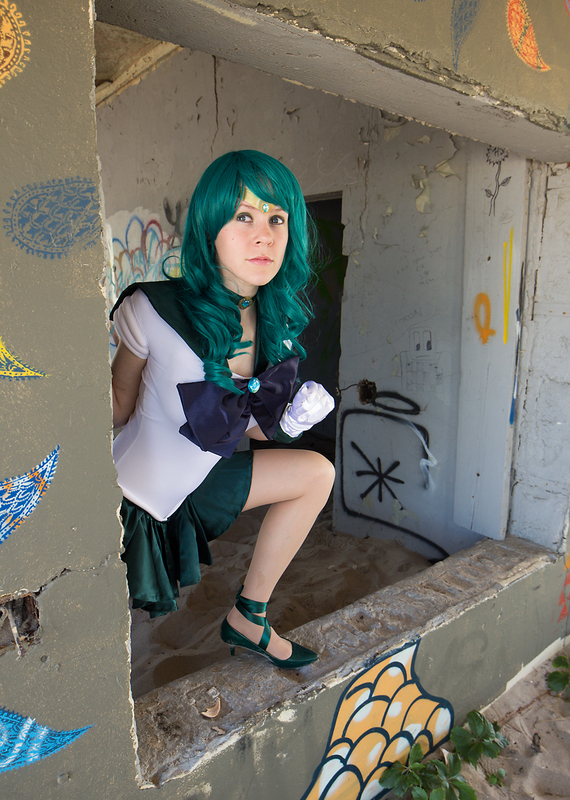 Red Leaf Cosplay’s website is starting to come together. With its rebirth, I will soon be able to post more about my life since I moved to New York, the conventions I have attended, the cosplays I have worked on in the past, and FINALLY get the gallery up and running! It feels good to finally be getting back on track. When I’m not watching anime, playing video games, working on a cosplay or getting distracted by Twitch Plays Pokemon (ALL HAIL LORD HELIX! ), I plan to make an honest effort working on the website. To be honest, moving to New York derailed me a lot more than I could have ever predicted and it has been one hell of a ride! They’ll be a whole post dedicated to my move, and then that’ll be the end of it and we’ll move on to more fun things to talk about! For the mean time, just bear with me a little bit longer while I get the last final touches on the website together. Once it’s done, I can start on new posts, cosplay profiles, convention review, and a new thread – portfolios of my research on new prospective cosplays! THanks for being so patient while I learn how to build websites again. It’ll look fantastic once it’s done!